Call it the 21st Century Job Hunter's Toolbox. This is a guest post by Krista Mitchell. If you’d also like to guest post here on JobMob, follow these guest post guidelines. Use all of the following tools in order to make the most of your job search and minimize the time it takes to land a job. These tools use every arena available to get you professionally known and wanted by employers in today’s changing job market: on paper, in person, online, and through friends and acquaintances. Recruiters are turning to social media more and more to find candidates. Some of the big career and networking ones are LinkedIn and now, Google+. Complete your profile as much as possible to be viewed more often, and connect with others on the site. On LinkedIn, you can even have recommendations posted on your profile, so hit up your former bosses, clients, professors, and coworkers for glowing commentary about you. Join LinkedIn groups, post insightful comments on bloggers’ articles, and use online platforms to discuss relevant issues to build business relationships. Facebook, YouTube, and Twitter are also popular but not quite as much for job search purposes. However, if you have a Facebook or other social media account, be sure that nothing unbecoming is viewable by the public. 70% of recruiters say they have declined a candidate due to improper social media material. Networking is the most effective way to find a job. It involves contact with people who are your friends, relatives, church members, former high school or college classmates and professors, online acquaintances, former coworkers, neighbors, fellow shoppers in the grocery line, etc. This is your key to the hidden job market, the jobs that are never advertised. You communicate with each person what line of work you are seeking and briefly your experience and/or education and request that they keep you in mind should they encounter career opportunities matching your profile. The list should grow over time as you meet new people online and in person. Continue following up with each member of your network on a regular basis. Something small that briefly states who you are and your specialty comes in handy when meeting new people, when a business card seems more appropriate than handing out resumes to everyone you meet. Be selective though, giving cards only to those who seem possibly promising. Cards are also easier for people to hang onto in the event they come across a job that might interest you. Don’t feel limited to the traditional format though. Creativity breeds remembrance. You could choose a unique shape or style that matches your occupation. For inspiration, see these 125+ Creative Business Card Designs That Make You Unforgettable. 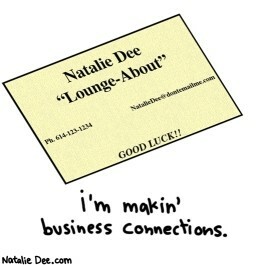 This works well with the business cards. An elevator speech is your brief three-minute speech introducing yourself and describing your professional career and target position. Hopefully, it leads to a conversation. At the least, it gets your name out there to one more person, an opportunity to pass along a business card, and potential to generate new job possibilities. If you limit your scope to only traditional, permanent, full-time positions with full benefits, you may be searching a lot longer. The uncertain economy has employers wary of hiring. More companies are shifting to part-time employees only, temporary contract work, and less than traditional full benefits. It is increasingly popular for companies to delegate hiring to temporary agencies that screen applicants for them and put them in “temp-to-hire”. If the company doesn’t like who the temp agency sends, they can simply request someone else, and in the mean time, the company doesn’t have to pay out anything for benefits on the temp worker. Your résumé should highlight accomplishments, special achievements, and awards, illustrating your skills and knowledge. It should cover various aspects of your career briefly. Save the full description for the interview. Every résumé should be accompanied by a cover letter, which introduces you briefly as a professional, tells how you learned about the position, and describes how the company may benefit from the value you offer. It should address a specific person at each company rather than “Sir or Madam” which shows a lack of research about to whom you’re writing. Use the letter to also discuss issues not addressed on a résumé, such as gaps in your employment history or why you are interested in the position if it is not in your historical line of work. End the one-page letter with a call to action, a request to meet with the reader to discuss the position further. Bring this with you to every interview. Your work portfolio is a collection of examples or photos of your best work, awards, letters of recommendation, performance evaluations, and the like. A portfolio comes in handy, because it illustrates your capabilities to the employer before the stage of checking references, which isn’t usually done until the employer is already serious about you. It may be a three-ring binder with pages or a book you have printed at a printing shop. For those in high-creativity occupations, a CD with examples of your finest creations might be more appropriate. If your portfolio is on a CD, you might even send one with each résumé. Following every interview, mail a brief letter or simple thank-you card to each interviewer, thanking them for their time and reiterating the value you offer. This is a tool used by few but with increasing popularity and could make the difference between you and another candidate, impressing the employer enough to make you a job offer. These are your tools. Develop each to present yourself in the best light possible, clearly conveying the type of work you seek and the value you offer to employers. It is a demanding toolbox for a challenging job market, but if you use these tools consistently, your job search should result in an array of possibilities and offers in less time than the traditional job search. Krista Mitchell is a Certified Professional Resume Writer who expertly crafts resumes designed to highlight your value with impact with Composure Resume Writing Service. She is also an Employment Specialist with a helpful array of labor market information. Free resume reviews are offered on her website at www.composureresumes.com. She guarantees your satisfaction as your resume is not complete until you say so. Her LinkedIn profile is available at http://www.linkedin.com/in/kristamitchell. If you liked this article, you'll also enjoy 12 Free Tools To Promote Your Job Search Self. Subscribe to JobMob via RSS or email and follow me on Twitter to know which are the best job search tools. Thank you for posting about this, what good advice for job seekers! This is all great advice! Thank you, Krista, for providing these tips. In this job market, there is no time to wait for the right job to present itself, and using the above tips, can put you on the fast track. Quite the arsenal listed there. All grate tips! I always think the business card is for someone who is currently employed but I guess it works for someone who is out of work also. Love the elevator pitch recommendation! !